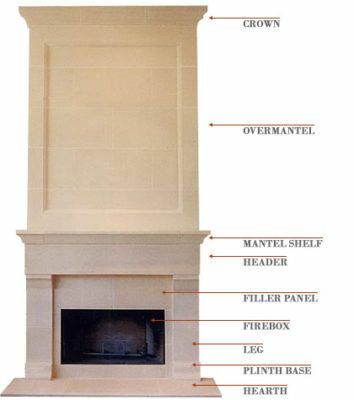 There are many different parts comprising a fireplace surround. With the exception of the firebox, Siteworks provides all of the elements pictured below. Mantel shelf and header are combined in some models, as with leg and plinth block.